Are you passionate about ending hunger? Help us address the issues that directly impact food insecurity. Mid-Ohio Foodbank is working hard to engage public policy decision makers and constituents alike in the hunger conversation. The Foodbank Advocacy Network (FAN) is essential in helping us advance our mission to ensure that no one goes hungry. It is only by working together that we can impact public policy decisions and create positive change for those in our community who are hungry. As a FAN stakeholder, we will inform you about issues and actions that deserve our urgent attention. Please accept our invitation to write a letter, send an email, make a phone call, attend an event, tweet a comment, or lend your Facebook status to influence legislation that aims to alleviate hunger. 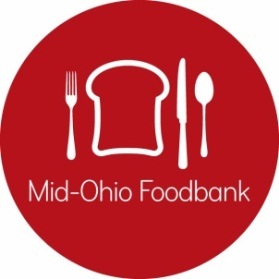 To sign up for FAN to receive our advocacy alerts and calls-to-action, or for questions or more information on our advocacy efforts, please email advocacy@midohiofoodbank.org. Important policy decisions are being made by our elected of officials which impact Ohio’s most vulnerable populations. We have the opportunity to take action by contacting them and voicing our concerns. Material presented on this page comes from the U.S. Department of Agriculture; the Food Research & Action Center; Feeding America; and the Center on Budget and Policy Priorities.